I like a good fauxmance, what can I say. You know what’s going to happen. It’s a bad idea that totally seems like a good idea at the time and then it all gets derailed by those feelings of the heart. I’m a sucker for a high degree of tension with a huge serving of angst. Give that to me every single time! Cobie Galloway has been pigeonholed as the nice girl next door in every film she has been cast in. She wants to break that mold ASAP. She has her heart set on playing a bad girl in a new film that has yet to be cast. Cobie needs a new image and she needs it fast. When she approaches her agent, even he is skeptical of her pulling off such a dramatic image change. She asks him to think outside the box and boy does he ever. Lila Wilder is the pop star of all pop stars. Her image is everything and she has a carefully crafted empire that she rules meticulously. In my head, this character is totally T-Swift. Lila is not new to fauxmances, she needs the publicity from the tabloids to keep her name front and center with every new love interest. The only problem is even that is losing momentum, so her publicist and Cabi’s publicist switch it up a bit. Hello lady loving fauxmance time. These two go round and round. You have banter, you have biting witty comments, a lot of heat and whole lot questions swirling around. They like each other, they are afraid of love and image is everything. Conundrum after conundrum with lots of glitz and glamour. This was a really fun read. Well, Rachel Spangler did it. What you ask, what did she do? Wrote the best damn book ever, that’s what she did. In the past few weeks, I have read some of the best books all year. A year, quite frankly wasn’t that impressive in the lesbian romance genre. Somehow fall became explosive with amazing tales with fabulous characters in dazzling plots. It seems like every book I have read since September has just been so fantastic they make you literally stop and swoon. Greatness, followed by greatness. This book is different though, it is absolutely is one of the best books of the year but more than that, it is easily one of the best romance books I have EVER read. First off I love the Olympics and pretty much all sports in general. With that being said, what I don’t want is ever read a how-to on playing said sport. 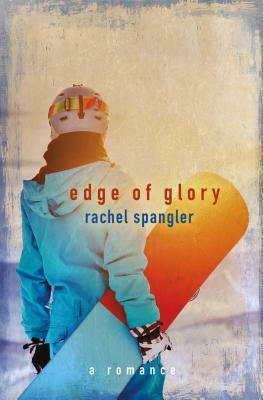 Don’t worry, Rachel Spangler isn’t going to give you the ins and outs of downhill skiing or a dissertation on how to ride a snowboard. No way, she took me down the side of the mountain let me feel and see what the character does. You read this book you literally feel like your racing down the side of a mountain being pulled by G-forces as your stapped to two polycarbonate sticks. I was wrapped in those moments, spellbound. She doesn’t just write the sports aspect amazing well, no that’s not why we are here. The romance is the main attraction, and well, it’s just magical. Elise Brandeis is an ice queen and then some. She is all business and her business is being the best alpine ski racer that the US and the world have ever seen. She has missed the Olympic podium twice by two-tenths of a second. Talk about painful. Now she has new obstacle to overcome, her body. After blowing out her knee, and multiple surgeries later, Elise is finally cleared to make the comeback of all comebacks. Never one for niceties, no one is going to stand in her way, even if they are trying to help. Elise is a high-strung prima donna whose unwilling to compromise ever. She wants complete and total control of both her own body and her environment. She never wants to compromise or seem weak and it’s all to mask her vulnerability. She’s a unique character, and one I really enjoyed. Corey LaCroix at the age of 30 is at the end of her career. She has been the best at Boardercross since the sport got onto the main stage. Corey is hardworking, loyal and lives her life 100% in the moment. Happy go lucky to a tee. This year is an Olympic year and Corey is feeling like her legs don’t have enough to fight off the competition. As hard as she works it may not be enough, but what she wants more than anything is another medal and a shot with the pricky Elise Brandis. Time and time again Corey comes off as the loveable jock who takes all of the competitive pressure and Elise’s venom in stride. She is also a world-class motivator when she can get her skiing counterpart to listen. Corey has her weakness too, her rise to fame got her plenty of attention from women and tabloids and that past is not something she wants to be repeated. So what you have is an epic story of conquering all odds combined with an epic love story. These two magnetic forces push each other away until the magnet is finally flipped over and they see each other’s true character. What Spangler does better than most is she creates these multi-faceted characters that jump off the page. Their individual back-stories are dynamic, their chemistry is palatable and you just can’t help but root for them and their success. This book is everything you could ever want. I truly loved this one. This will easily stand at the top of my all-time favorites. 5 stars, hell all the stars. I love this book! Redeeming a character can be a tough sell. How do you make a character, which said the character was downright terrible in a previous book your main character? Add into the fact that this is a romance novel, and your reader needs to have the feels. Tough, so tough, but Rachel Spangler does it like a boss. If you read The Long Way Home you will remember, Kelly Nolan. Kelly was Beth’s longtime lover when Beth meets Rory. (side note: you can totally read this a standalone, but I would recommend ready both, just so you can see how far this character comes, and both of these books ae really good. Don’t short change yourself). Kelly is sort of the villain in The Long Way Home. She loses Beth because of her paranoia of anyone finding out they are lovers. She’s’ not a great girlfriend to Beth and her restrictions, her closet become too much for the relationship to withstand. So now, we meet up with Kelly again. Kelly is still single, a little heart broken, lonely and above all else sill striving to be perfect. Tax season is around the bend and as a CPA, Kelly has a million things workwise to take care of. Add onto the heaping pile, her dad (her mentor, her hero) has just has a massive stroke. Beth, still in the picture as the supportive friend, encourages Kelly to take on an intern to help lighten the load. For all their differences, together they work. Elliot exposes Kelly’s softer sides, the one she has buried long ago to avoid be the whipping post for the small town of Darlington. Kelly learned long ago as a child, that because her mother walked out on them, that she would always be subject to the town’s gossip. Elliot brings out Kelly’s true nature and it was quite honestly mesmerizing to read. These two have a dynamic relationship. Fantastic read! 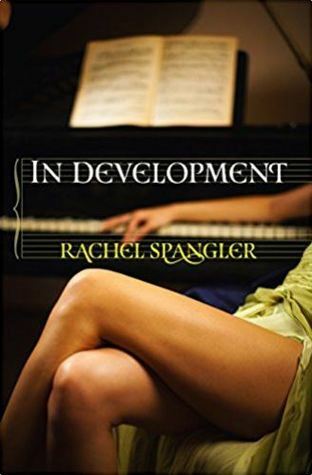 Rachel Spangler is one of the really good writers in this genre. She knows how make a romance jump off the pages, and has well-developed characters and plots. Add in the setting of a food truck chef meets and spars with an uppity banker and you have the makings for an interesting read. Right? Hal Orion owns and runs a local Buffalo food truck. Her specialty is sandwiches loaded with unusual pairings and loaded with cheese. Hal hasn’t had the easy road in life, a product of the foster care system via a drug addicted mother, Hal doesn’t trust easily. She literally let know one below the surface other than best friend and employee, Sully. You can’t miss what you never had, is basically Hal’s life’s mantra. Quinn Banning is an investment banker. She’s a no-nonsense kind of woman, who sets her sight on a goal and drives like mad till she gets it all the while wearing an Armani suit and pumps. She has her sights set on opening a one of a kind restaurant in Buffalo that will give the community something unique and flavorful. Hal is the chef she needs to jump-start her dream. The book begins with Hal and Quinn having an epic clash, neither seeing eye to eye and starting off on the wrong foot. As the story progresses both ladies are basically a thorn in the other’s side with underlying sexual attraction. This is definitely a case of opposites attract. While the story was set up for a wild ride of excitement, sadly the romance just fell flat to me. After a while, it just felt like we were beating a dead horse to death and neither of these characters in real life would have anything to do with the other. I like each character fine but as a couple, it became forced. Hal lashed out on too many times and you would have to be a saint to keep going back for more. If you are a foodie you will love the descriptions of sandwiches and dishes Hal whips up. Even a non-foodie like me was intrigued. Overall this a pretty good book, I don’t think its Spangler’s best but you will definitely get your money’s worth. I am not a huge baseball fan, I am sure that is blasphemy to many Americans, but I am just not. Now don’t get me wrong I can enjoy baseball, it’s great to go to the ballpark grab a beer and sit back and watch the pageantry of any sport. I love sports! 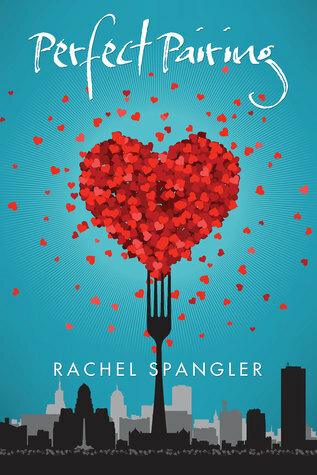 I also have become a great fan of Rachel Spangler’s books, and I was intrigued by the vastness of this books ratings. Sarah Duke is a female sportswriter. This is no easy feat. This particular career is heavily dominated by men. A female will have to work twice as hard if not harder to break into this field. Sarah, who really only goes by Duke, has just landed her dream job working for majorleaguebaseball.com, Duke is working as the sports commentator for her beloved St. Louis Cardinals. Baseball is her life, literally and figuratively. Molly Grettano is a single working mother of two boys. By day she waits tables and any other moment she has is dedicated to her children’s happiness. Her oldest child, Joe, is somewhat of a baseball savant. Joe’s childhood is not playing sports or video games. No, he is a lover of baseball. He doesn’t excel at rounding bases or catching pop flys, no, Joe loves the statistics and math of the game. He knows batting averages, win-loss averages, which pitcher is needed for which opponent. So, Molly fosters that love and takes her sons to any Cardinals game she can. 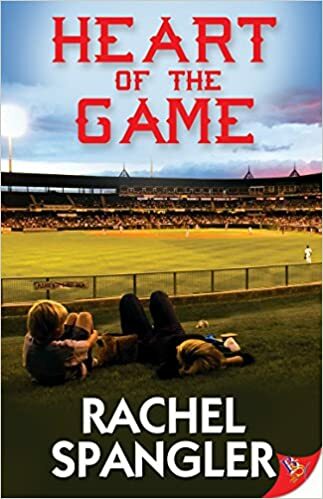 A chance meeting with the journalist Sarah Duke is a treasure for Joe, she fills his heart with more of his passion of baseball. This accidental run-in brings Duke into the lives of Molly and her two sons. The third character in this book is baseball. Yup, this book is heavy in baseball, quotes, stats and life lessons learned from America’s pastime. Duke and Joe’s obsession with the game is heavy and it reflects as much in the book. In my opinion the third character takes over much of the book, leaving the main characters progression towards romance rather thin. You can only have so much of one subject before it becomes overwhelming. I had a hard time believing that Sarah Duke would ever get out of Molly Grettano’s friend zone. Don’t get me wrong Duke is nice and sweet, she is great with the boys but she is more like a teen than a thirty-something woman. Her singlemindedness was frustrating and I could not believe Molly would fall for someone who would put her so far second behind her career. She only spoke in baseball metaphors for goodness sake, who would find that attractive. Cute for a while maybe but after time it would be grating! I did not believe this happy ever after. 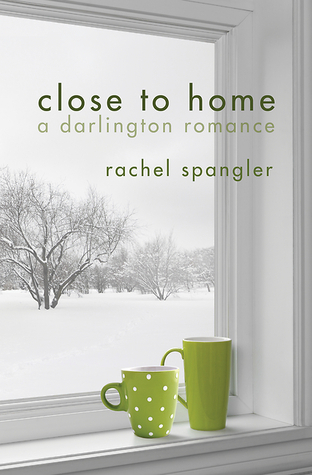 I love Rachel Spangler’s writing style. I liked this book, but it is definitely not my favorite of Spangler’s. If you are a baseball junkie, you will love this one. If baseball is not your thing, you may struggle a bit. For me it wasn’t a strike out, but it wasn’t a home-run either.